Love is in the air, and it’s time to start thinking about Valentine’s Day! 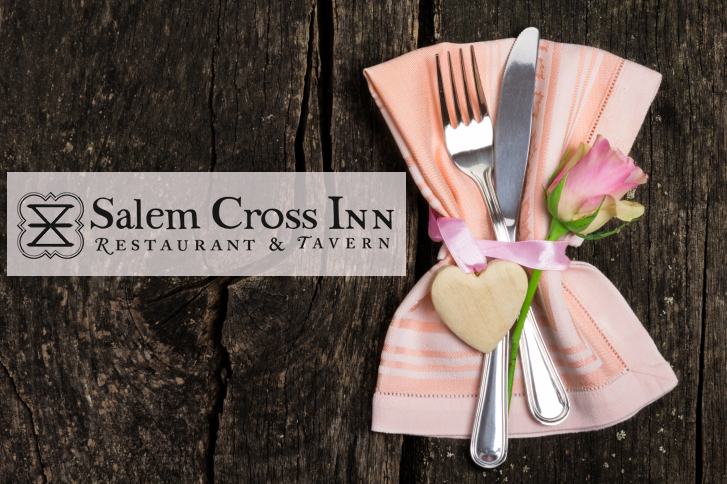 Bring your significant other and have dinner with us at Salem Cross Inn for Valentine’s Day. We will be serving our Dinner Menu from 5-9 pm on Thursday, February 14. Marinated Artichoke Hearts & Hearts of Palm 8. Escargot with Roasted Garlic Crostini 9. Prime Rib of Beef 28. Peanut Butter Cup Cheesecake 8. Call us today at 508-867-2345 to make your reservations.